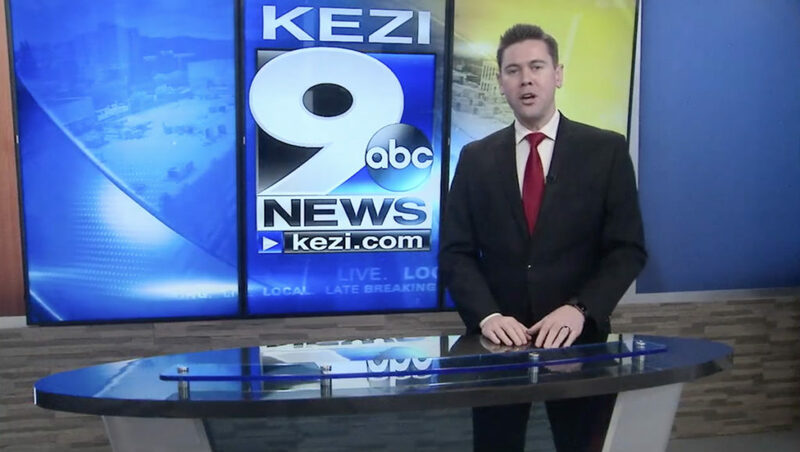 KEZI, the ABC affiliate in Eugene, Oregon, has moved to a new set that’s stocked with plenty of video walls and panels that allow the station to have a dynamic, flexible home for its newscasts. 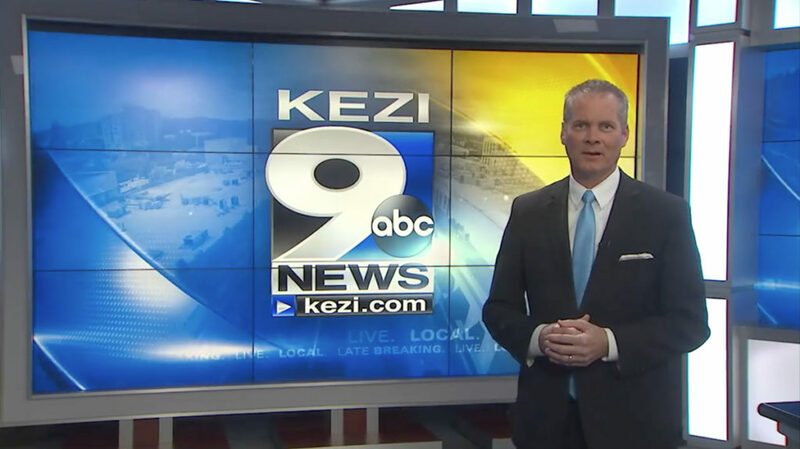 The main anchor desk for the station, known on air as “KEZI 9 News,” is situated in front of a wide video wall with backlit panels surrounded by thick framing it. 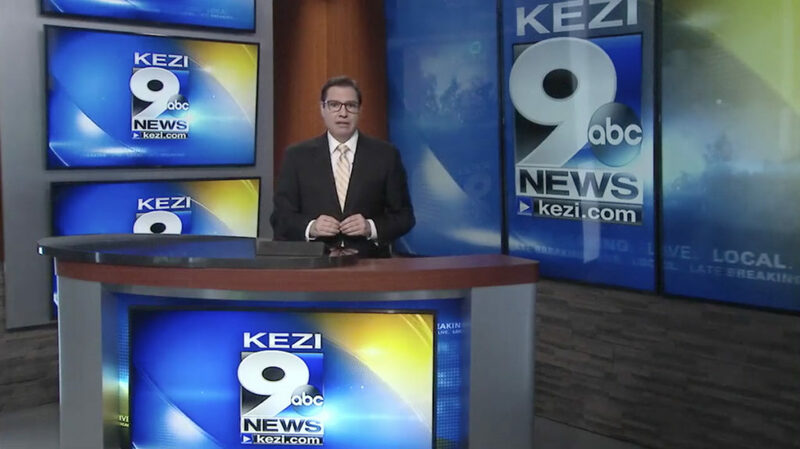 Near home base, a 3×3 freestanding video walls serves as a standup or alternate anchor location, with video panels from NEC and integration from Digital Video Group. Video processing on the set is handled by TVOne Corio and DataPath. 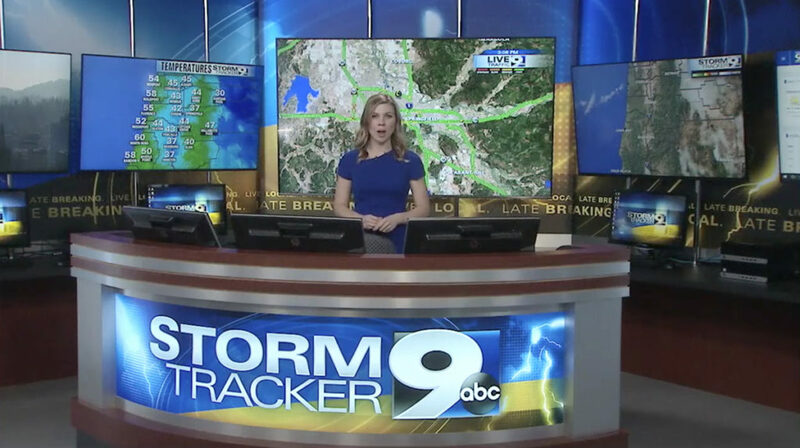 Elsewhere in the studio, a weather center features a large curved presentation desk with built in workstation monitors. 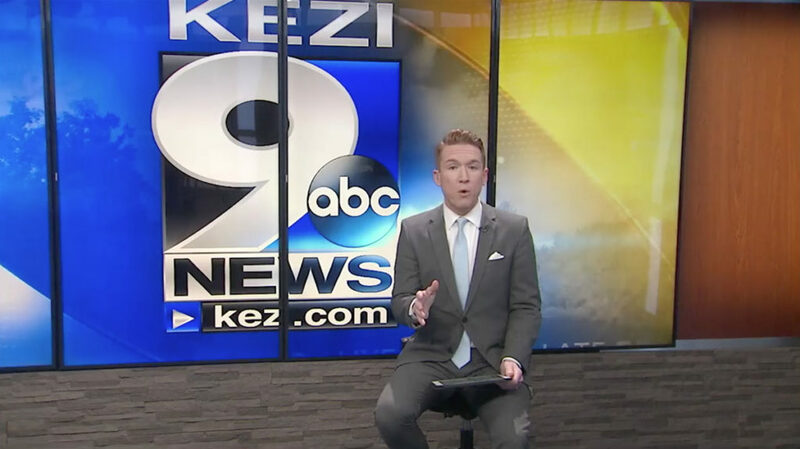 Directly behind the desk is a large flat panel mounted on metal piping, with two additional, though slightly smaller, panels on either side mounted above additional work areas. 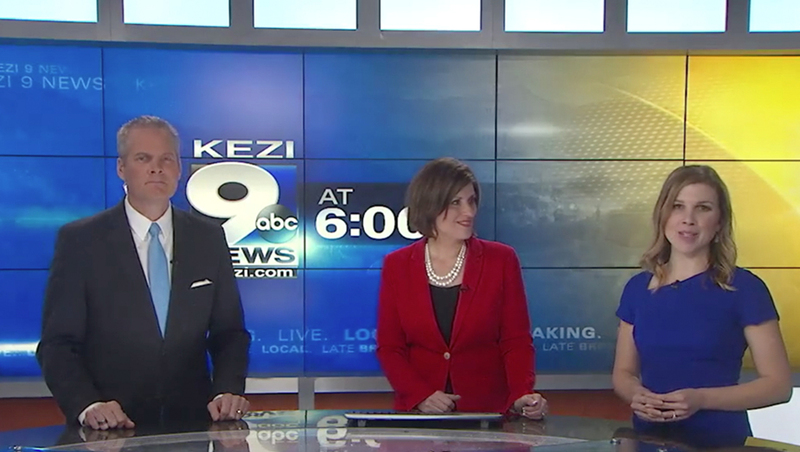 The new set also includes a breaking news and social media area, equipped with a small standing presentation desk fronted with a video panel. A stack of three panels on the gray wall to the left are complemented by three vertically mounted ones to the right of a wood toned column. The set also includes a similar setup with four panels used as a multipurpose interview area. A final array of vertical monitors is used for sports, which also includes a smaller pod-style standing desk with frosted front and shiny surface. A solid blue wall is to the right of this part of the studio. All three of these areas have a similar look and feel, including the faux stacked stone knee wall featured prominently as well as the wood tone accent walls.